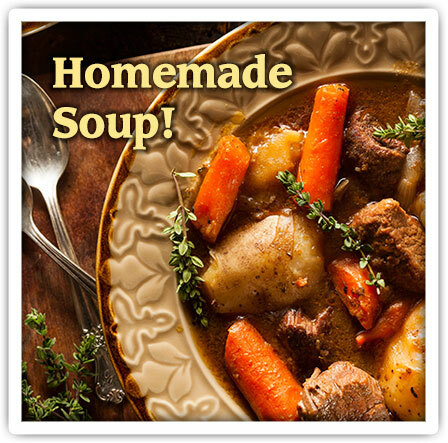 Hasten their recovery with a few of our Hearty Home Made Soups and more! Welcome! With all the choices out there, we're so glad you found us! Our mission is to help you express your thoughts and sentiments perfectly, in a gift to a friend, relative, business associate or special someone. From budget gifts to extravagant presentations, we'll solve your Present Dilemma. 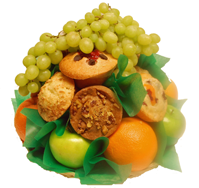 We are a Bakery as well as a Gift Basket Store so we're able to make Fresh Muffin & Fruit Baskets, Cookie Bouquets and Brownie Boxes as well as Cookie and Pastry Platters. Business and corporate gift giving has never been easier. Call or Email and we'll design something to meet your needs or select any of our stock gifts. We'll be glad to add logo merchandise or branded items, custom imprinted ribbon and cater to your special themes or promotions. We don't make you fill out any tedious forms ~ Send your list in any format, or we'll take your information over the phone – your preference. We're here to create a truly One-Of-A-Kind Gift, for any occasion. Quality and customization don't need to cost more. We're just a phone call away and since we don't believe in voice mail, you'll reach a real live person 24/7! 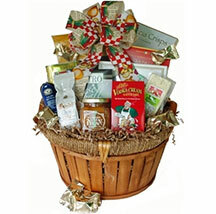 Give us a call or shoot us an email and we'll do our very best to make all your gifts exceptional! Family owned and operated, we've been based in Albany NY since 1995. 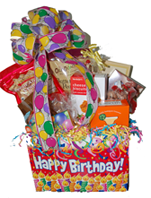 We're your local source for gift baskets in New York's Capital District, which also includes Saratoga Springs NY, Schenectady NY and Troy NY. Orders received by 12:00pm EST typically ship the same business day. 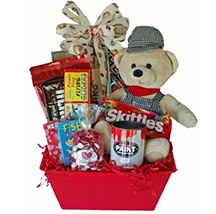 We hand deliver gifts locally [same-day delivery usually available] and ship gifts nationwide [next business day delivery to most of the Northeast USA]. Gifts to celebrate life's occasions; Anniversary Gifts, Baby Boy Gifts, Baby Girl Gifts, Back to School Gifts, Birthday Gifts, Congratulation Gifts, Engagement Gifts, Graduation Gifts, Wedding Gifts… And to acknowledge more somber events such as Bereavement, Condolence, Shiva, Sympathy and Loss of a Pet. 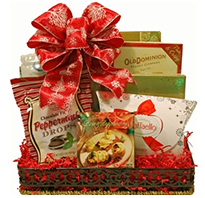 We design Festive Christmas Gifts, Kosher Hanukkah Gifts, EggCeptional Easter Baskets, Beautiful Mother's Day Gifts, Fantastic Father's Day Gifts, Romantic Valentine's Day Gifts, Thoughtful Thanksgiving Gifts, Affordable Administrative Professionals Gifts…..